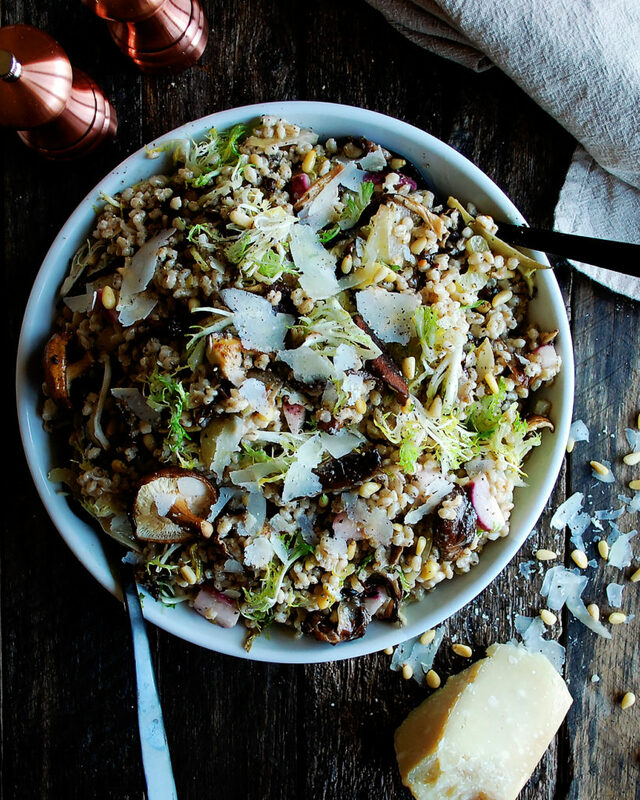 This winter barley salad with pine nut parmesan salad is exactly what we need after a long holiday weekend. If you’re like me, you absolutely hate to see holidays end. There is nothing better than relaxing with my family all weekend long cooking delicious food, and that is exactly what we did over this Thanksgiving. Thanksgiving dinner went over smoothly, I made this leftover turkey soup on Friday, and by Saturday all of our Christmas decorations were up. Pretty successful weekend. While I was ready to get back on track with some healthy dinners, I didn’t want the festivities to end! So, I spent Sunday creating some really delicious (mostly healthy, some decadent) recipes to enjoy all week long. 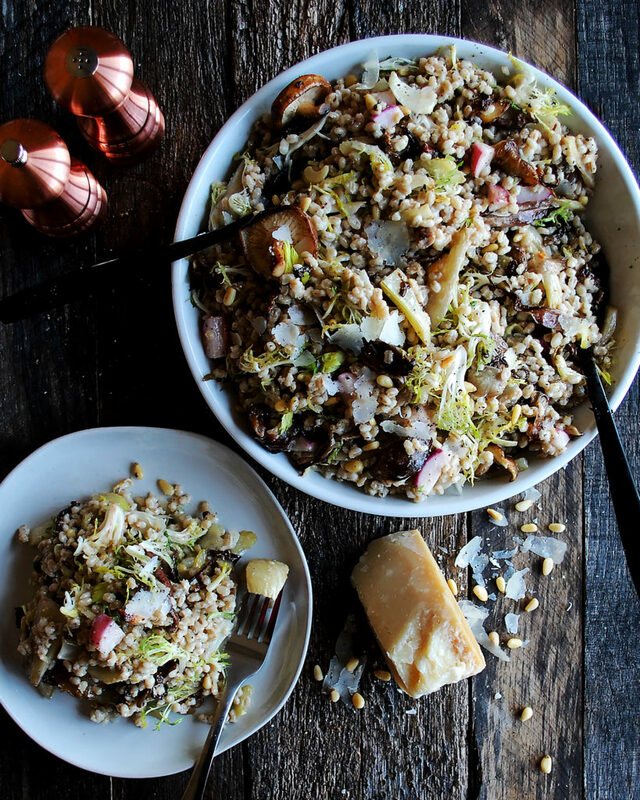 This winter barley salad turned out to be one of my favorite recipes I have created so far. 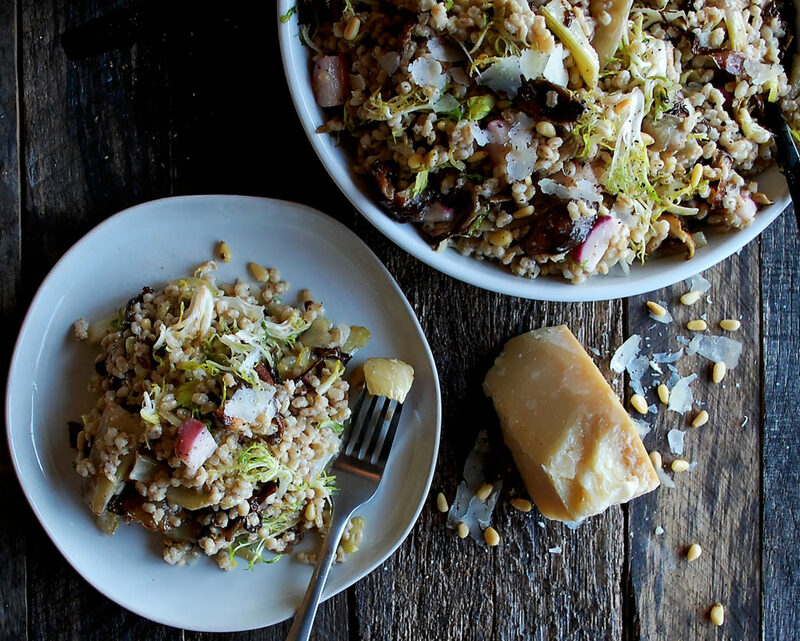 I knew exactly how I wanted the dressing to turn out… creamy, cheesy, garlicky, and with a subtle pine nut flavor. Once that was made (and it was absolutely perfect), I sort of threw everything else together on a whim, and it turned out SO well. 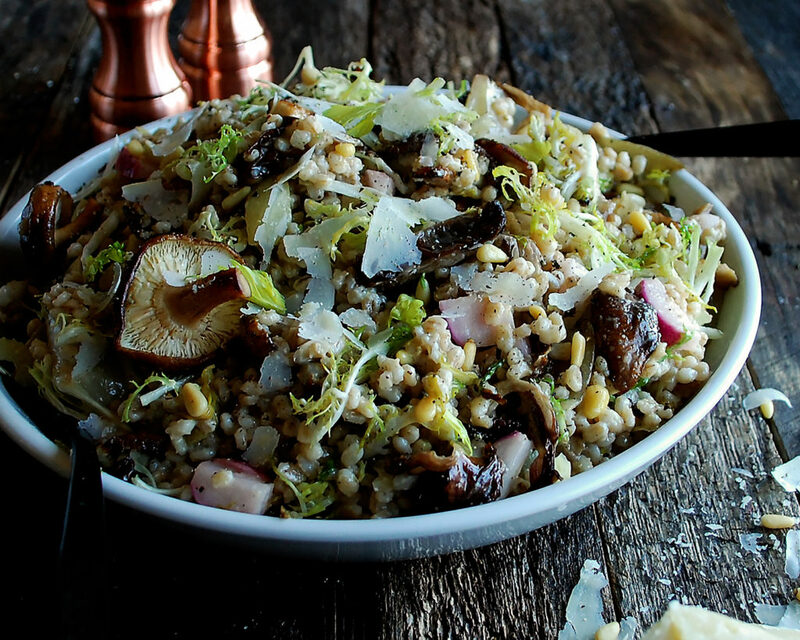 I’ve been eating this barley salad all week and just loving it. It’s extremely hearty, full of rich roasted vegetables, plus tangy pickled vegetables as well. Definitely don’t be intimidated by the recipe, though. There are a lot of moving parts, but everything is really simple to do. 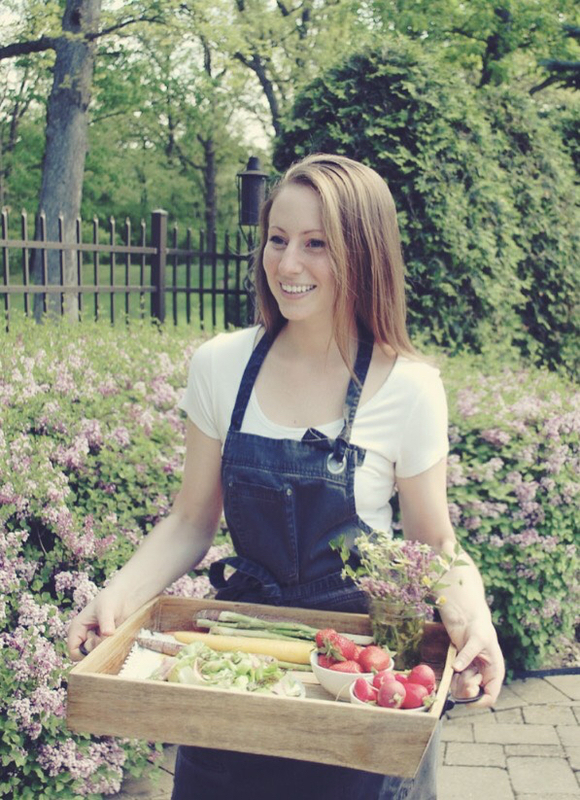 Work through the recipe in the order I have listed and you should be good to go! Also, I would absolutely recommend making the full recipe. 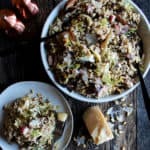 You can cut it in half if you know you won’t be able to eat all of it over the next few days, but it makes such good leftovers (just heat it up slightly in the microwave) that you might as well make a lot to have on hand. Or, it would be the perfect thing to serve at a holiday party. Yes! !